Tuesday morning a southbound A train veered into the wall of a subway, derailing two cars as it approached the 125th Street station. Hundreds of riders had to be evacuated from that train in the pitch-dark tunnel, and 34 people suffered non-life-threatening injuries. 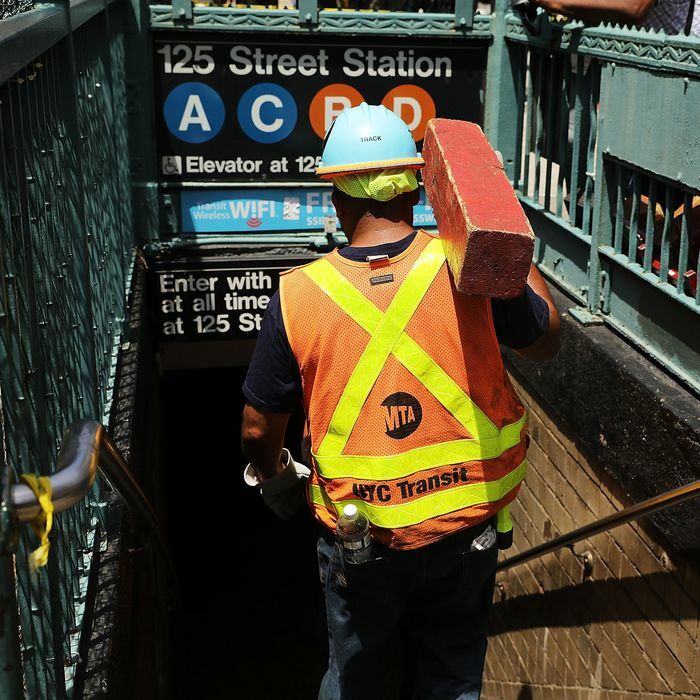 As for the rest of the subway system: Hundreds of other commuters had to be evacuated from stalled or stopped trains after the incident, and delays and service disruptions persisted throughout the day and well into the evening commute. Source tells me this issue with the spare rail looks like a case of "balancing service versus maintenance." More in the AM on @NY1. Earlier Tuesday, MTA chairman Joe Lhota said the emergency brake had been switched on, which caused the two subway cars to careen off the tracks. The train’s motorman is also being interviewed, and will be subject to a drug and alcohol test. Following earlier emergency repair work at 125 St, A, B, C and D train service has resumed with extensive delays. Smooth commute on the A train this morning in northern Manhattan. Credit where it's due: MTA got service back up and running pretty quickly. One B train in 30 minutes, too crowded to get on. @MTA DO BETTER.